Welcome to NHUSD's Ethnic Studies page! Ethnic Studies has deep roots in NHUSD, stemming back to the early 1970's with Chicano Studies and African American Studies. More classes were then added on in the 1990's. 2018 marks the 15th Anniversary of the establishment of the Ethnic Studies Department at James Logan High School. Prior to 2003, Ethnic Studies teachers were included in the History/Social Science Department. It is also important to note that NHUSD has included an Ethnic Studies class as a graduation requirement for at least 15 years. The Ethnic Studies Department currently offers the following classes: African American History, African American Issues, Asian American Studies, Ethnic Women’s Studies, Filipino Heritage Studies, Issues In Ethnic Studies, Latino Issues In The United States, Mexican-American Heritage, and Multicultural Literature. The majority of these courses meets the CSU and the UC ‘g’ elective college entrance requirement. Many of our alumni who have taken multiple courses have gone on to major/minor in Ethnic Studies, pursue their Masters in Ethnic Studies, and have careers in teaching Ethnic Studies. Our middle schools, Itliong Vera-Cruz and Cesar Chavez Middle, implemented Ethnic Studies elective courses in 2016-17. 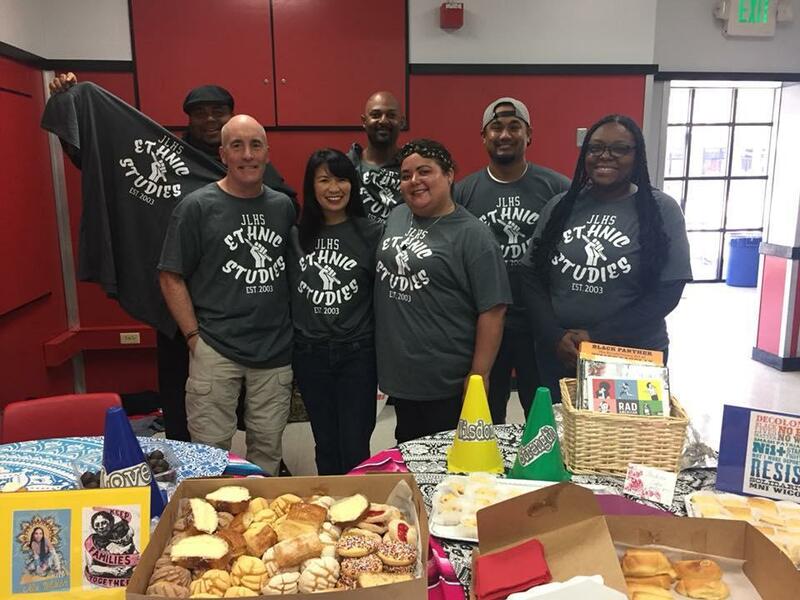 Under the guidance of Director Tracie Noriega, the Ethnic Studies Task Force was formed in the Spring of 2018. 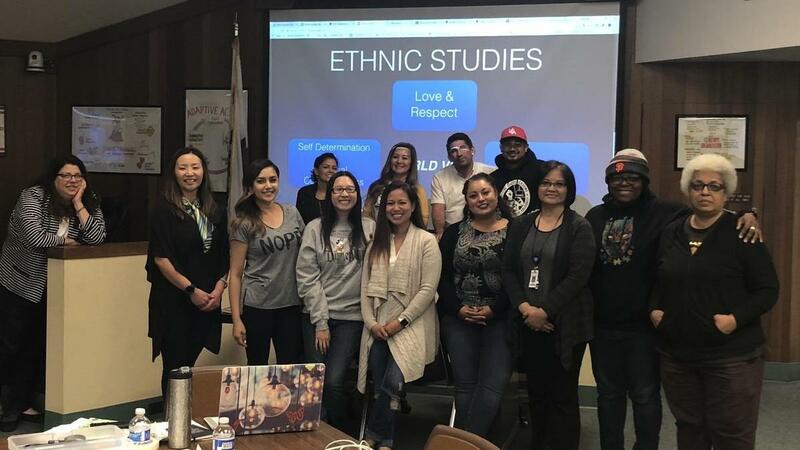 This committee consists of K-12 activist teachers and administrators, whose task is to 1) understand the concepts of Ethnic Studies, 2) use those concepts as lenses to make connections to current NHUSD curriculum and teaching strategies, 3) provide professional development to NHUSD in Ethnic Studies pedagogy. Ethnic Studies is centered on knowing and understanding our students. Ethnic Studies is rooted in and fosters self love, empowerment, grit, community, solidarity, hope, and healing. Ethnic studies is an interdisciplinary approach and provides a safe, academic space. Ethnic Studies develops social, political, historical, environmental, economic, and academic literacy through pedagogical practices that are responsive to ALL of OUR students. Ethnic Studies empowers students to explore multiple narratives, various ethnic and socio-economic backgrounds and their history, as well as the intersectionality between all people. Ethnic Studies encompasses the 5 C’s: Cultural Competence, Critical Thinking, Collaboration, Communication, and Creativity. It is curriculum relevant and accurate to the cultures in our classroom and it is a path to understanding and appreciating everyone’s identity, the factors that create it, and the evolution of identity. Ethnic Studies will help students understand how our social construct is affected by race and the root causes of oppression, power, and privilege. It is the counter narrative to the historically institutionalized narrative taught in the United States. Tracie Noriega, Director K-12 Instruction @ tnoriega@nhusd.k12.ca.us.